Posted January 27th, 2016 by Jessica Garcia & filed under Uncategorized. 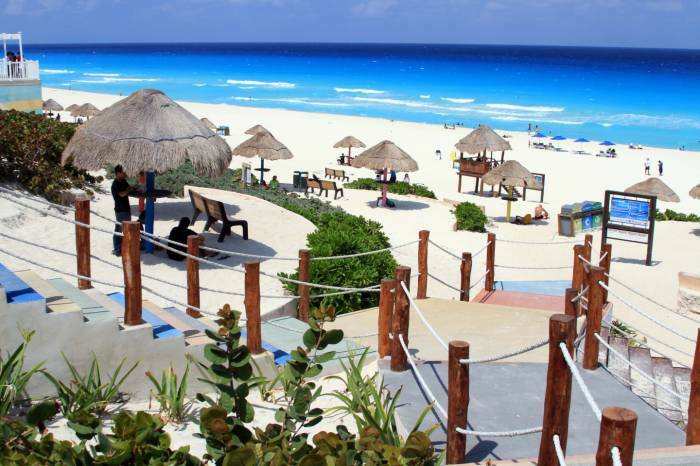 We know that you have taken time off work and put a lot of money and effort into your Cancun vacation. So, we want to show you a few places that you can go for free that will make your vacation one to remember without breaking the bank. 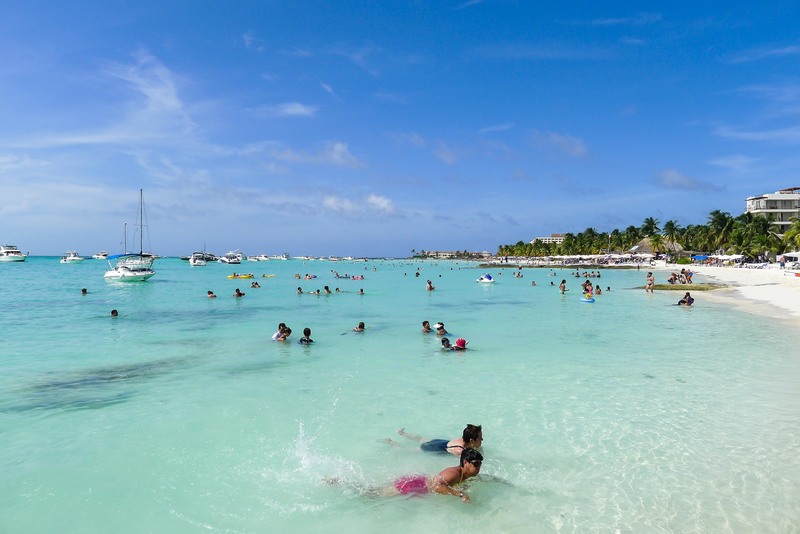 Everyone needs to visit the beach while in Cancun! 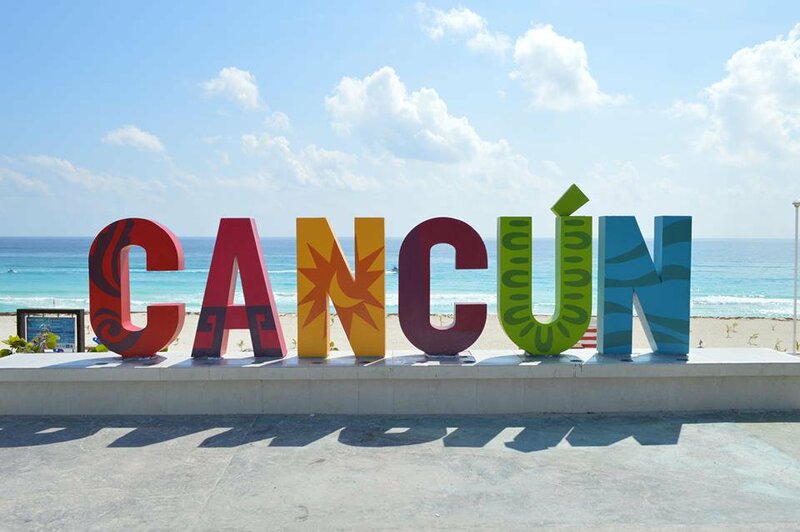 The view from the parking area is perfect for photos, including a new Cancún sign that is the new “hot spot” to take your vacation photo. Not only that, but you get a better view of the beautiful blue colors that paint the ocean. This beach has free public access with bathrooms and showers, they even have palapas set up for you to set your things under as well as jungle gyms for the kids, and exercise equipment (for the brave who can bear the heat) as well. A short bus ride out of the Hotel Zone will bring you downtown where you can get a taste of how the locals live. Mercado 28 is a open air local market full of things to see, buy, and eat. This is a great spot to purchase souvenirs if you still need to find the perfect gift to bring back home. 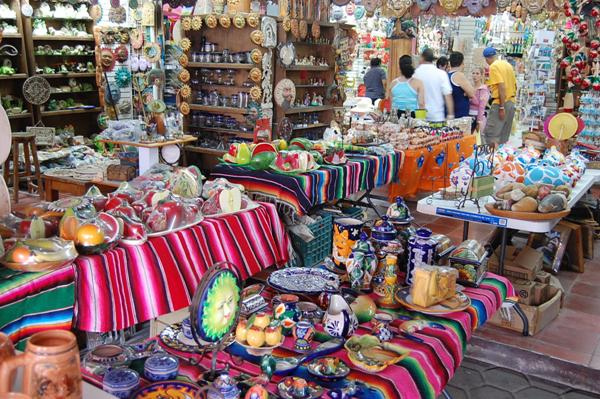 The market has everything from jewelry, to authentic Mexican handcrafted items. Live music, good food, and souvenirs all in one place! Located downtown, parque de las palapas is the perfect place to spend an evening out. With plenty of food and drink vendors to choose from you can enjoy a meal in the warm atmosphere while enjoying live music or shows. 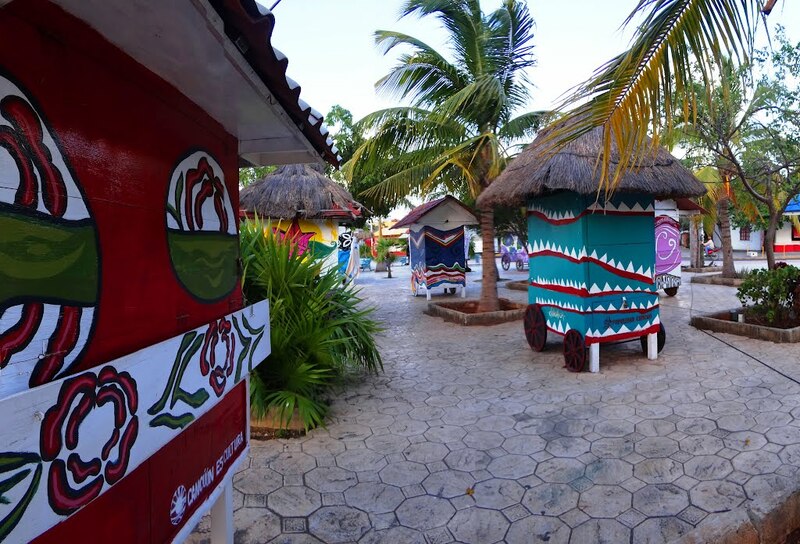 Browse the “palapas” (small thatched carts) where you can find artists and their work which make great souvenirs to gift to any friend or family member. This one isn’t exactly free but we couldn’t resist! The only thing that will cost you is the ferry ride (around $20 USD for a roundtrip ticket) to get there, but it pays for itself with the scenery. This laid back island is full of great things to see and explore. The white sand beaches and calm pool like waters are enough to get you lost for at least a few hours. Once you have explored the beach and worked up an appetite, there are plenty of places to eat and drink on the Island. 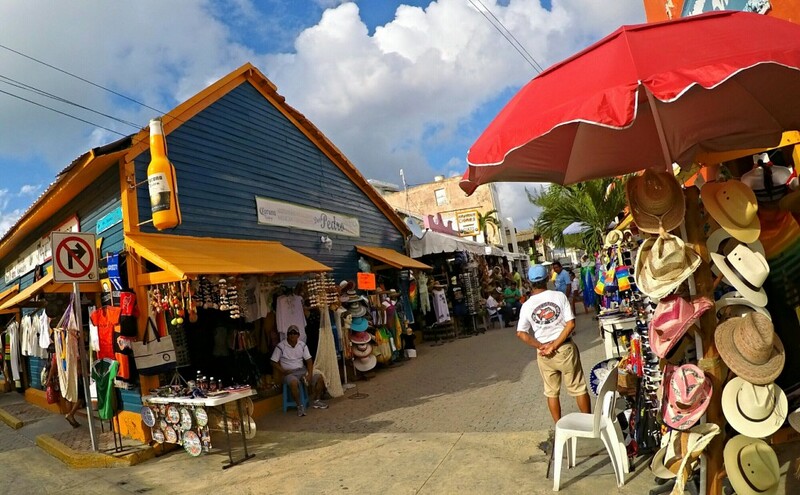 Indulge in some window shopping and live on “island time” for a day before returning back to Cancun. We hope that we have given you at least a few ideas of how to spend your time here. If all of this sounds great to you, and you are ready to start planning your vacation now, then click here and discover our amazing packages!